This salad is super fast and is a great snack for busy days. It’s meant to be eaten cold so it is easy to eat anywhere, at any time. 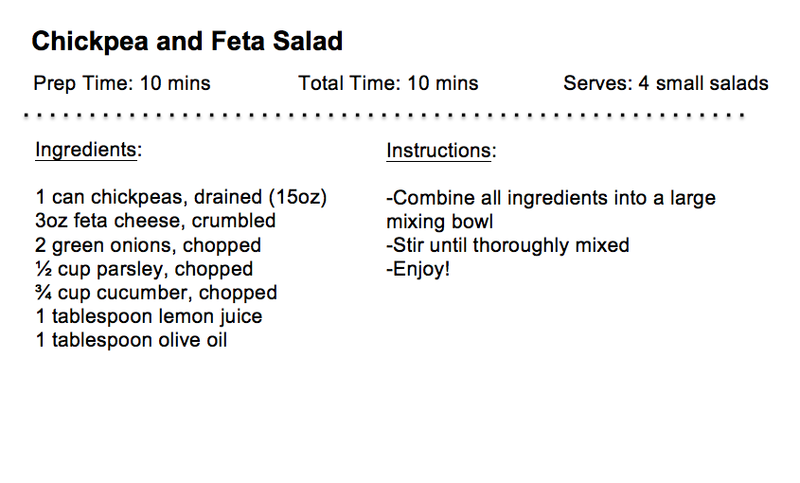 Just watch out for the feta; try not to leave the salad out of the fridge for more than four hours (although it won’t kill you if it has been out for a little longer). The approximate* nutrition facts of one serving are shown here for the ingredients on the recipe. Want to mix it up? Adding avocado to this recipe is a great way to add in some extra healthy fat and fiber.